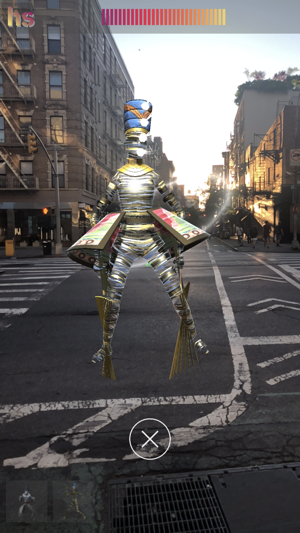 hy·per·sub·tle is an audio-reactive, augmented reality app where futuristic digital dancers and props move to the music wherever you are. 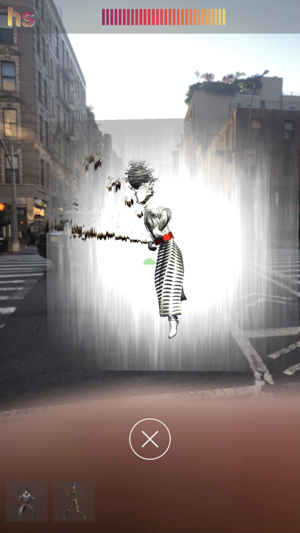 The hy·per·sub·tle app is part of a curatorial project which merges artificial intelligence with motion capture data to visualize movement. 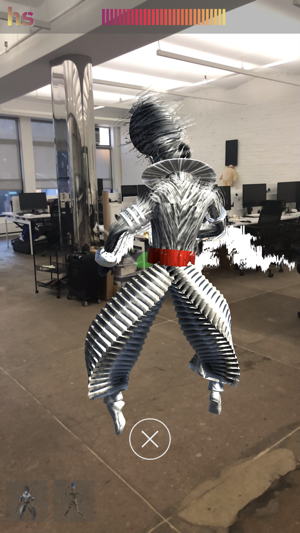 The app was created using professional dancers to capture choreographies from cultural moments in pop culture, allowing you to experience and record these dances in your own physical environment. Originally created as part of Panorama music festival, the app lets you make any place a fantasy dance party that you can record and share with your friends. - The app uses your phone's microphone to detect the audio in your environment and activates your camera to see the world around you. - Pick from a curated selection of characters. - Scale characters up or down, move them around, and add props to customize your video. - Depending on your selection and the audio detected, the characters will choose from a wide array of iconic choreographies. - Record and capture unique AR videos that download directly to your Photos so you can share them on social media and with friends.